As buying black grows to something that is beyond a trend, entrepreneurs, local organizations, and business development councils are taking it upon themselves to coordinate black-owned business tours in an effort to get more consumers to buy black. According to a 2014 report by Nielsen and Essence, black buying power is estimated to climb to $1.3 trillion over the next few years, however a fraction of that will support black-owned businesses. The Kellogg School of Management at Northwestern University administered a study which found that if higher-income black households spent only $1 of every $10 at black-owned stores, between half a million and a million jobs could be generated by their support. It is crucial for the black community to support ourselves to create wealth and opportunities within our communities. Take a look at our list of inspiring black businesses tours, including two bus tours that provide an ingenious approach for people to buy black. They will have you wanting to shell out your dollars at your local black-owned establishment. The Official Black Wall Street is hosting the first ever nationwide black-owned businesses crawl. The millennial driven tech start-up has taken notice that 30% of black businesses in New York City alone have disappeared. During the weekend of Saturday, Nov. 10 – Sunday Nov. 11, the crawl aims to bring in some major black dollars.The tour plans to reach 11 prominent cities including Atlanta, Chicago, Detroit, Durham, Houston, Los Angeles, New York, Oakland, Philadelphia, Tulsa, and Washington, D.C.
Consumers across the nation will have the opportunity to buy black from a variety of black-owned businesses from clothing stores to food trucks. Special discounts will be offered to shoppers who show the Official Black Wall Street app on their phone as well as entering a contest for a $700 gift card. The Black Business Tour (TBBT) was founded in 2016, by South Los Angeles native Mone’t Lamb. TBBT brings attention to black-owned businesses throughout Los Angeles, and Southern California by bringing consumers directly to the source. Participants board the bus to shop at a variety of black-owned establishments in the area. Lamb was inspired to start the company after her video promoting a black-owned beauty store in Inglewood, California, went viral and she received plenty of positive feedback. The tour is also her way of tackling gentrification by giving black-owned businesses exposure and building businesses. One can book a tour through their website and social media. Find out more information, here and here. The Black Businesses Bus Tour (BBBT) is a nonprofit organization founded by Candy Lowe and launched in 2006. Located in the Tampa Bay area, the BBBT shines awareness and the importance of black businesses in the community. 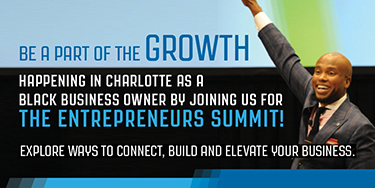 The tour gives black businesses an economical way to endorse their businesses to the community. For $10 a seat, consumers can take a ride in the following Florida cities: Clearwater, St. Petersburg, LakeLand, Brandon, Sarasota, Miami, Orlando, Tallahassee, Jacksonville, and Fort Lauderdale. Shoppers have the opportunity to support and buy black through the tour. Lowe is a strong leader when it comes to supporting black businesses. Her company had taken a four year break after its launch. When the tour resumed in September, Lowe noticed that nearly 80% of the businesses her tour had first visited were gone. The tour is an excellent source for unknown black businesses to receive exposure. In Philadelphia, African Americans make up 41% of the population, out of that percentage only 2.4% are businesses owners, compared to 78.8% white-owned and 10% Asian-owned. The Philadelphia Community of Leaders (PCOL) took the initiative to create the iBuyBlack discount card, a $10 card that gives shoppers a 15% discount in black-owned stores throughout Philly. Proceeds support the PCOL. When it was first launched in April 2017, about 80 business owners had signed up. The discount card gives an incentive for consumers along with exposure to black businesses. iBuyBlack also holds different events, listed on their website and social media. An upcoming event is the Shoppers Paradise Fourth Annual Holiday Shopping Expo/Black Friday. Shoppers will have the chance to buy unique gifts by black owned companies while enjoying free food and entertainment. Every month, the Buy Black Market Place is hosted by Archwood Exchange in Phoenix, Arizona. Founded in 2016, Archwood Exchange endorses economic empowerment in the African American community by highlighting the products and services offered by black-owned businesses and creating spaces for the community to connect and support. The first Market was held on May 6, 2017, with 35 businesses and 300 shoppers. 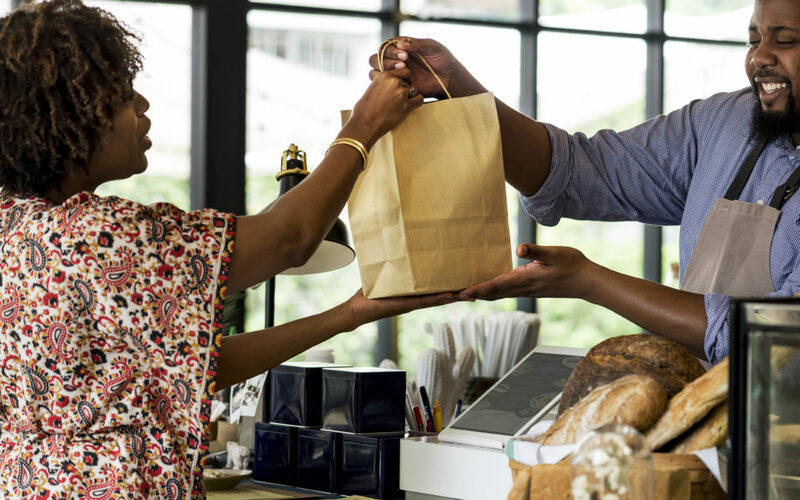 The Market gives local black businesses owners a chance to personally connect with consumers and gives the needed disclosure for their business. The Buy Black Market Place takes place every first Saturday of the month from at the Parsons Center. 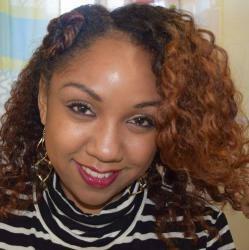 Shelley Worrell first launched CARIBBEING in 2010. The organization curates programming that highlights Caribbean culture throughout the year, including film screenings, rum tastings, and pop-up shops. Each year, for those interested in black Caribbean culture, style, and cuisine, Worrell hosts a tour of the black-owned, Caribbean businesses in the Flatbush section of Brooklyn, while offering inside access to the social and cultural life of the neighborhood. This year it’s happening again on Dec. 26. A portion of the proceeds from tickets go Barbershop Books, a nonprofit that brings youth reading spaces to barbershops across the country, and The BLK Projek, a Bronx initiative that promotes food security by teaching youth of color how to farm.